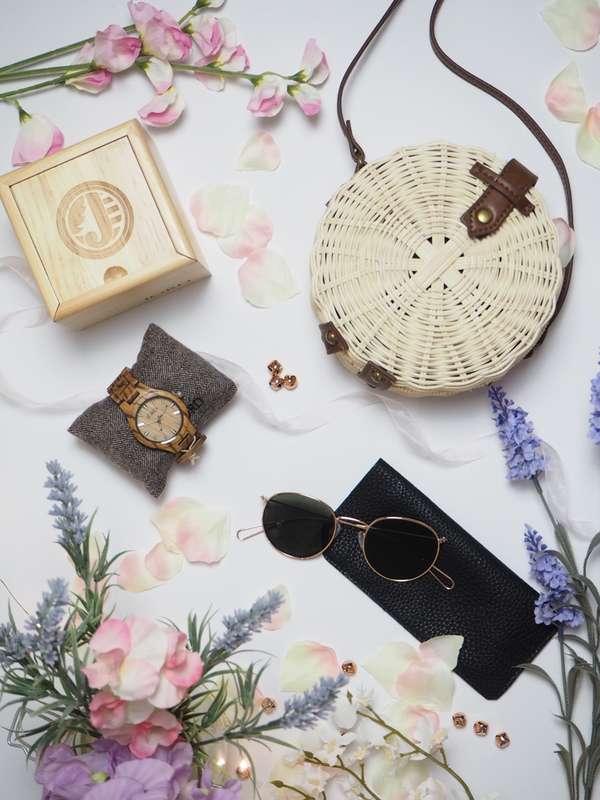 With Spring having just arrived (as much as the weather doesn’t seem to be showing it), it’s the perfect time of year to get some new spring accessories. 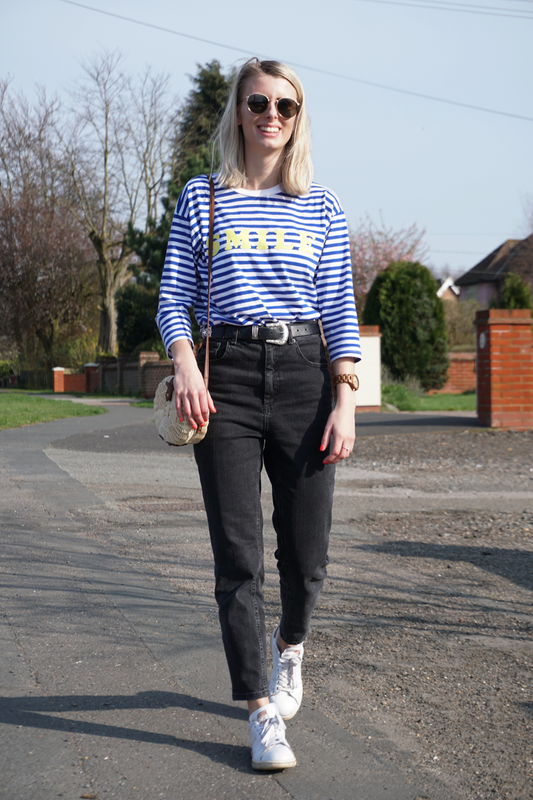 I’m not the best when it comes to accessories – I don’t have a grand collection of jewellery and I’m usually reaching for the same old bag as I rush out the door. But, as I plan some of my warmer outfits, there are three spring accessories 3 I know I’ll be reaching for on a daily basis to add that finishing touch to every look I create. The cross-body bag is big this season, and I’m glad. I’m not so much a handbag girl, I much prefer something I can chuck on and not have to worry about forgetting about it. 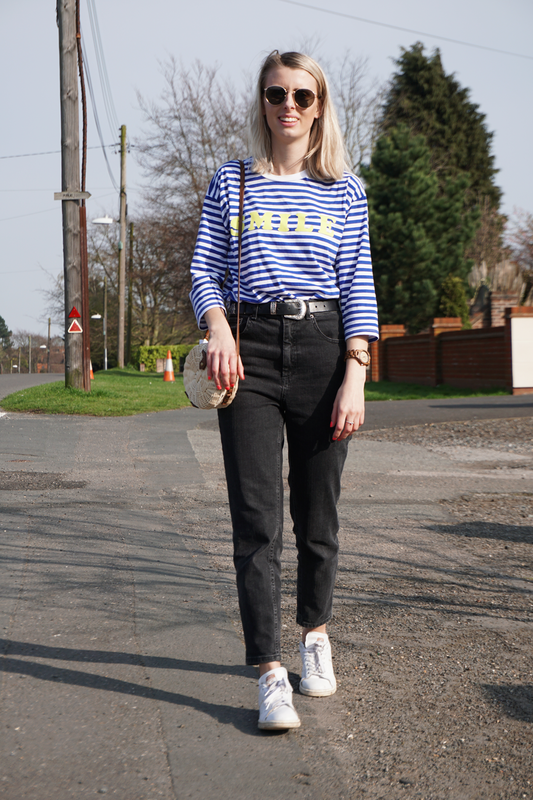 The cross-body is ideal for popping out when all you need is some money and some sunnies. I’m so bad at packing everything I might need when I go out, so a smaller bag makes me hold back on that and only pack the necessities! This Spring I’m loving straw/rattan style bags that seem to be everywhere in the shops right now. This particular one I picked up on Asos. 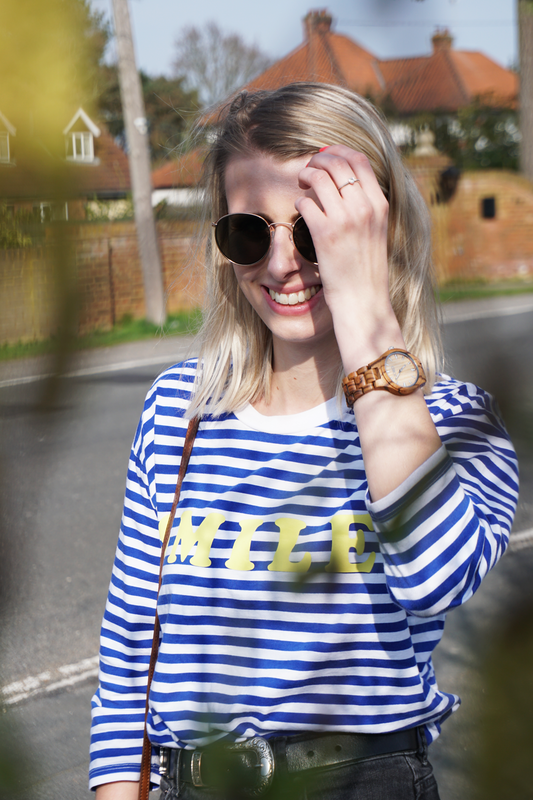 Sometimes in England, it does get a little bit sunny – shocking, I know! So sunnies are a must. 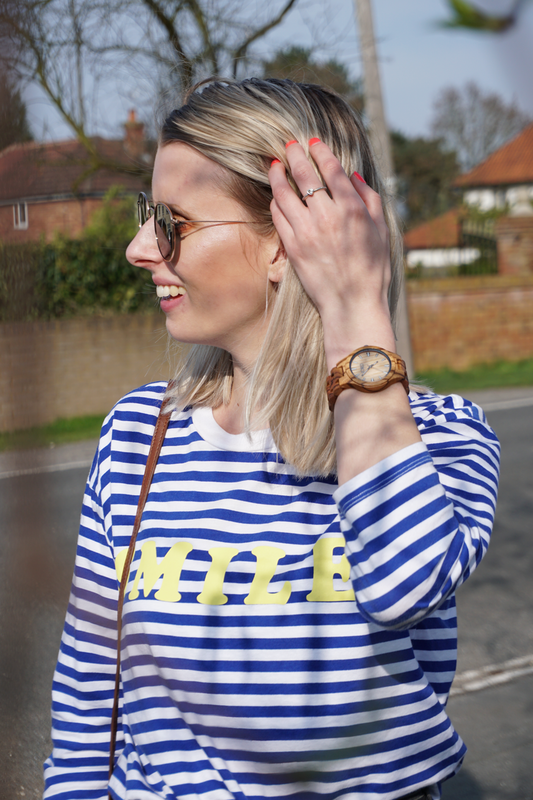 If you have a small head like me you’ll know the struggles of finding a good pair of sunnies, this pair from Weekday on ASOS have been my go-to this season. Whilst last year it was all about the classic retro sunglasses, this year I’m loving the thin metal frames. I will never leave the house without a watch on, whatever time of year it is. Not only is a watch totally practical, it can add that extra touch to an outfit. 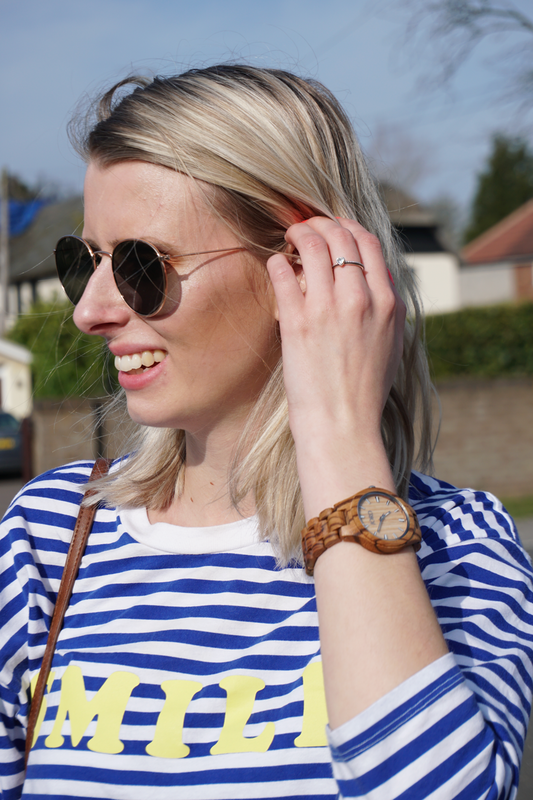 When Jord watches got in touch with me and offered to send me one of their unique wooden watches I was so pleased to have a new watch to add to my collection! 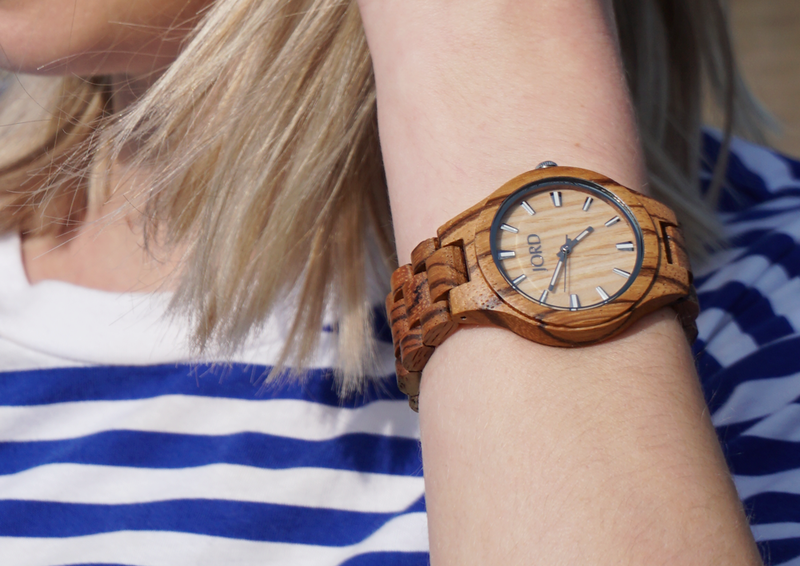 The watch I chose was their zebrawood and maple watch. It’s such a stunning, unique piece, I’ve already had a bunch of compliments on it! I sent off my wrist size to JORD, and the watch came packaged beautifully in its own wooden box, with some spare pieces just in case the fit wasn’t quite right. It’s lightweight and comfortable, and the perfect addition to my spring style. 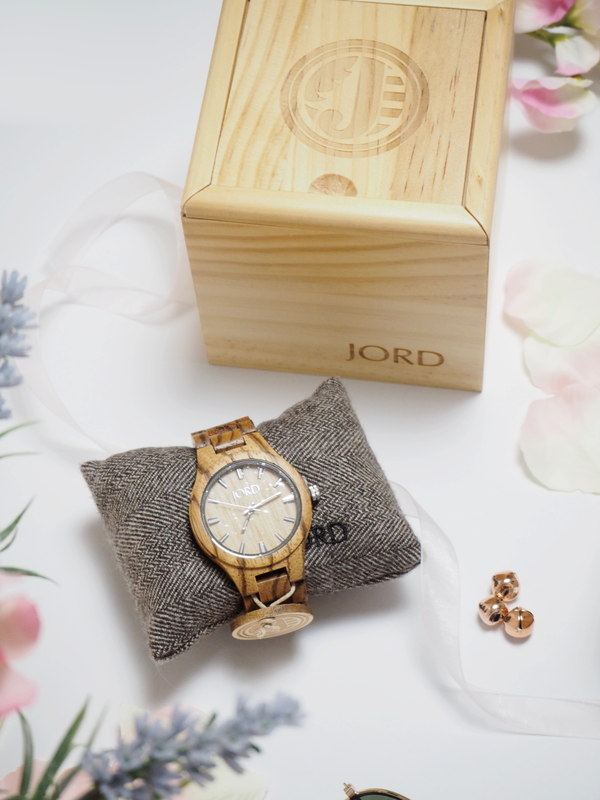 If you fancy getting your hands on one of these, the lovely people at JORD watches are giving you the chance to win a $100 voucher to spend on the site! You can enter here: http://www.jordwatches.com/g/lucycole. One winner will be selected at random on the 6th May, and all entrants will get a 10% off code (these expire 3rd May). What are your top Spring accessories? "How I’m keeping on top of my blogging admin"